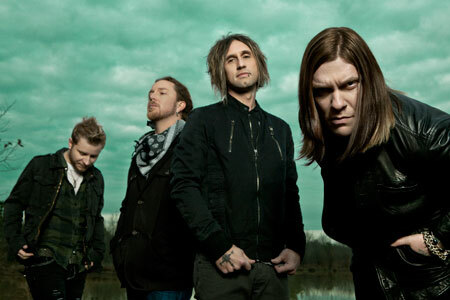 Shinedown Biography, Discography, Music News on 100 XR - The Net's #1 Rock Station!!! 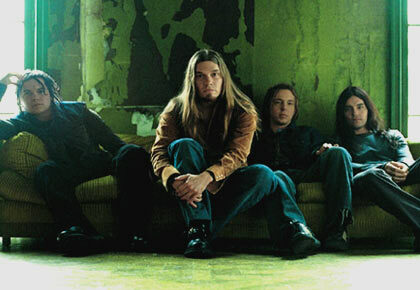 Based out of Jacksonville, Florida USA, Shinedown line-up of vocalist Brent Smith, guitarist Jasin Todd, bassist Brad Stewart and drummer Barry Kerch originated in early 2001, but it was the following year that Atlantic Records sealed the deal, giving the band the opportunity to turn their Rock dreams into reality. The melodic Alternative-Metal quartet soon found themselves in a Los Angeles recording studio to craft their debut full-length album. "Leave A Whisper" was released in May 2003 led by the single cut "Fly From The Inside", which smashed into the top 5 of The Mainstream Rock chart and sent the album to the top of the Billboard's Heatseekers list; the following year, two more singles stormed the Active Rock chart, "Burning Bright" hit #2, "45" peaked at #3 and also reached the #12 position on The Modern Rock Tracks; the album eventually climbed The Billboard 200 Sales chart reaching the #53 slot and was finally re-released with three bonus tracks, the acoustic version of "45", "Burning Bright" and their rendition of Lynyrd Skynyrd's "Simple Man", the latter of which became the band's fourth Mainstream Rock top 5 hit. After touring for 23 months and playing more than 400 shows including opening dates for Van Halen, the Florida rockers released their sophomore album, "Us And Them", in October 2005; it peaked at #23 on The Billboard 200 while the first single, "Save Me", shot to #1 on The Mainstream Rock chart and quickly bulleted into the top 3 of The Modern Rock Tracks. The follow-up single "I Dare You" continued to make an impact at active and modern rock radio as it climbed up to #2 and #12, respectively, on the Billboard charts and "Heroes" earned the band yet another Hot Mainstream Rock top 5 hit. 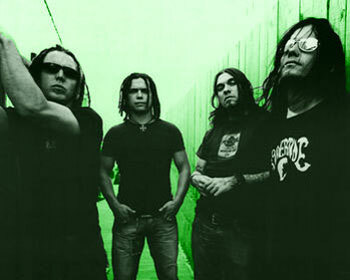 Around this time they hired Zach Myers, who later became the main guitarist. 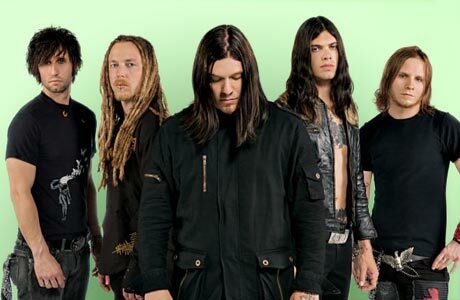 In spring 2008 Shinedown announced the departure of guitarist Jasin Todd and the addition of Nick Perri, formerly of Silvertide; the band also announced their new bassist, Eric Bass, he replaced Brad Stewart who left the platinum-certified band in 2007. June 2008 saw their long-awaited return to the public eye with the release of their third studio album, "The Sound Of Madness", which rose to #8 on The Billboard 200 spending over 125 weeks on this chart and producing an amazing string of four Hot Mainstream Rock #1 smash hits: "Devour", "Second Chance", "Sound Of Madness" and "The Crow And The Butterfly" as well as the top 3 hit "If You Only Knew". "Second Chance" was also a #1 on The Hot Modern Rock Tracks and crested at #7 on The Billboard Hot 100. Perri eventually left the fold, leaving the band again as a four-piece. "Diamond Eyes (Boom-Lay Boom-Lay Boom)", a new song featured in the trailer to the motion picture "The Expendables", was released as a single in the spring of 2010 going straight into the Billboard's Rock Songs top 10. Shinedown issued its highly anticipated fourth album, "Amaryllis", in March 2012, it soon became a worldwide success hitting #4 in U.S. and #7 in Canada producing two Active Rock chart topper singles: "Bully" and "Unity". Additionally, the album took them into the U.K. top 20 for the first time.